Anaphylaxis is a very serious, life-threatening allergic reaction that may develop within minutes of being exposed to a trigger. 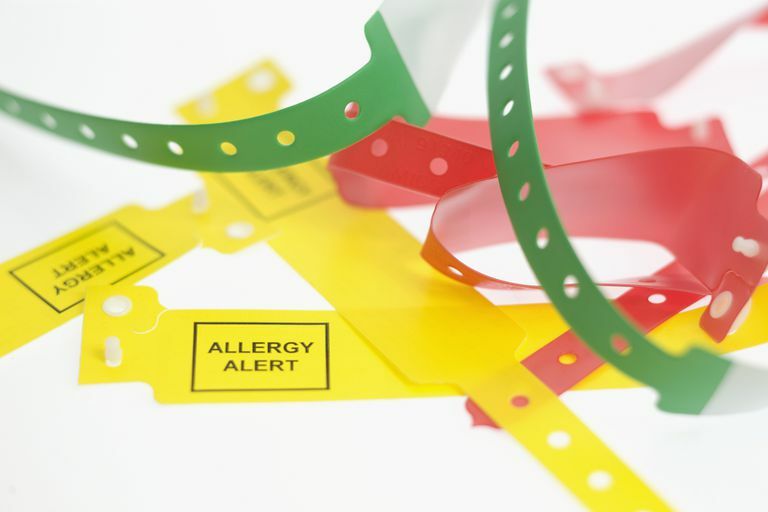 Sometimes the trigger is known (for example, ingestion of certain foods or medications, insect stings or bites, or exercise-induced anaphylaxis), and sometimes the precise trigger is unknown. Treatment of this potentially fatal condition requires a prompt injection of epinephrine into a person's muscle, specifically the middle of their outer thigh. Traditionally, epinephrine auto-injectors (called EAIs), like the EpiPen, have been prescribed by doctors to patients at risk for anaphylactic reactions. But another epinephrine vehicle has emerged. In June 2017, the U.S. Food and Drug Administration approved a prefilled single-dose epinephrine syringe called Symjepi for the emergent treatment of anaphylaxis. While not a wholly novel or unique therapy—it still is epinephrine—Symjepi offers an alternative option to the traditional EpiPen, and it may be quite a promising substitute. One reason is that it's smaller than the Epipen, so it can be carried in a coat pocket or purse. But even more noteworthy, is that experts suspect Symjepi will be cheaper, a soothing notion for those who spend a significant amount of money per year on their EpiPens. The potentially fatal aspect of anaphylaxis is that it can ultimately lead to cardiac arrest, when the heart stops beating. The purpose of Symjepi (epinephrine) as the first-line treatment for anaphylaxis is to counteract the effects of this allergic reaction. To do this, epinephrine binds to two receptors located in tissues throughout the body, called alpha-1 receptors and beta-2 receptors. By activating these receptors, epinephrine essentially narrows blood vessels in the body, and this will raise a person's blood pressure. It also decreases swelling in the throat, mouth, and digestive tract and widens a person's airways, so he or she can breathe more easily. Finally, epinephrine reduces the release of inflammatory substances like histamine from cells in your immune system, called mast cells. Unlike the EpiPen, which is an auto-injector, Symjepi is a syringe—a cylinder filled with 0.3mg of epinephrine that has a needle attached to it. On the prefilled syringe are two easily read steps for how to administer the medication in an emergency situation. A person can either self-administer it or another person like caregiver or family member can administer it (for example, a parent to a child). Regardless, proper training by that person's healthcare provider is critical. Training is important to not only ensure a proper injection technique without injury, but to also address any questions, sources of confusion, or worry about giving the shot. Note that the instructions say to call 911, as Symjepi should not replace emergency medical care—it's simply the first (temporary) step, and this is the same for the EpiPen. When available, Symjepi will be sold in a pack of two, which is similar to currently sold epinephrine auto-injectors. The purpose of supplying a person with two is so that one can be carried at all times, and one can be left at school, home, or work, as a back-up, or if a second dose is needed. It's interesting to note that the number of syringes or auto-injectors prescribed by a doctor is quite variable, as there is no hard and fast rule or guideline that healthcare providers necessarily follow. That being said, one good rule of thumb, according to the World Hearth Organization, is that a person should have one epinephrine dose available for every 10 to 20 minutes of travel time to an emergency room. Remember, though, you should never inject more than two doses of epinephrine for a single anaphylactic episode—only a doctor should give additional doses. Finally, Symjepi is only available (and will be sold) in the 0.3mg doses, which is safe for people who weigh 66 pounds or more. A junior version of Symjepi (similar to EpiPen) is expected to provide a lower dose of epinephrine for children. Are There Side Effects Associated With Symjepi? Rarely, heart problems like a possibly fatal abnormal heart rhythm may occur. Other uncommon potential adverse effects associated with epinephrine are a rapid increase in blood pressure which can lead to bleeding in the brain, and fluid overload in the lungs—this is called pulmonary edema. It should be noted that these uncommon adverse effects are most likely to occur in the event of an overdose of epinephrine, and mostly when it is given through the vein (intravenously). Once again, the benefit of promptly injecting epinephrine for anaphylaxis greatly outweighs these potential risks. Another risk associated with Symjepi is the potential for a needle stick or accidental injection. This usually occurs in a finger or on the hand and may result in impaired blood flow, which can be serious. An injection into the buttocks has been reported to lead to gas gangrene, a very serious bacterial infection. If an accidental injection does occur, be sure to go to your nearest emergency room. Overall, the best way to prevent a needle stick is to simply never remove the needle cap on the syringe until it is ready to be used. Lastly, an infection may occur—although this is rare—at the site of injection. An infection may cause the skin around the injection site to be warm, tender, swollen, and/or red. If this is the case, be sure to call your doctor right away, as you may need an antibiotic. The approval of an alternative means of injecting a life-saving medication for treating anaphylaxis is noteworthy, and with its likely lower cost, it will probably ease the minds of many people who pay hundreds and hundreds of dollars a year to replace their epinephrine auto-injectors. Regardless, whether you are prescribed an epinephrine autoinjector, like the EpiPen, or a pre-filled single-dose epinephrine syringe like Symjepi (in the future), be sure to get hands-on training from a healthcare provider on how to use your device. Review the training with your doctor every year, along with renewing your epinephrine device prescription. Simply put, your life may depend on this training one day. Pepper AN, Westermann-Clark E, Lockey RF. The High Cose of Epinephrine Autoinjectors and Possible Alternatives. J Allergy Clin Immunol Pract. 2017 May - Jun;5(3):665-68. Posner LS, Camargo Ca Jr. Update on the usage and safety of epinephrine auto-injectors, 2017. Drug Healthc Patient Saf. 2017 Mar 21;9:9-18. Sicherer SH. (2017). Prescribing epinephrine for anaphylaxis self-treatment. In: UpToDate, Kelso JM (Ed), UpToDate, Waltham, MA. U.S. Food and Drug Administration. (June 2017). Symjepi (epinephrine) injection prescribing information. What Kind of Heat Rash Do You Have?